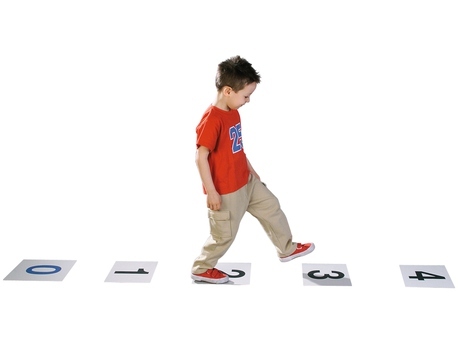 The non-slip number tiles are extra-large, so they can be stepped or jumped on easily – even by two at a time. They have the numbers from 0 to 20 printed on them. For better orientation, the numbers 0, 5, 10, 15 and 20 are in different colors. Material: felt, non-slip bottom. Dimensions: 29 x 29 cm.